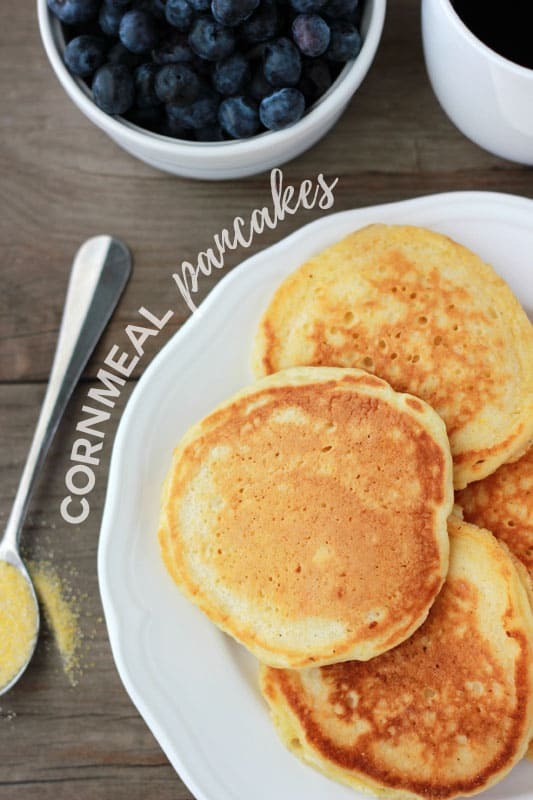 These Cornmeal Pancakes are a refreshing twist on the classic breakfast food! Any cornbread fans need to add these to your must-make list asap! 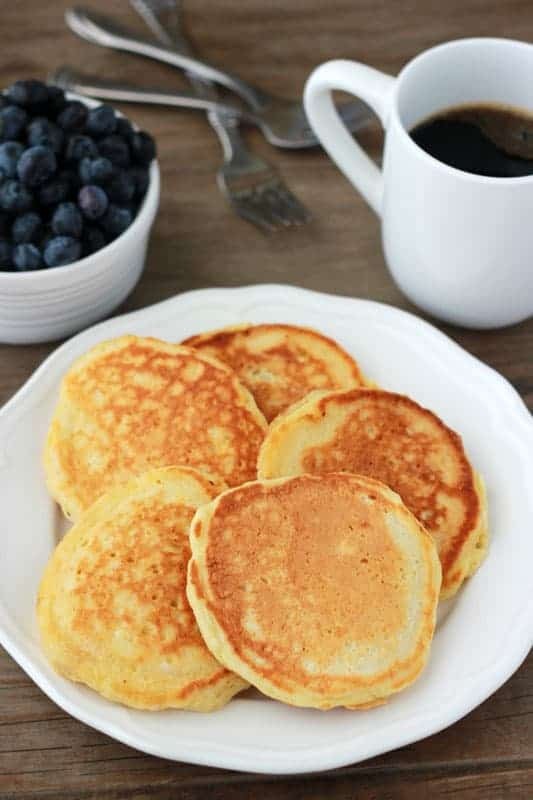 I have a whole slew of pancakes here on my site (the most popular being my Chunky Monkey) but these are honestly our favorite. I easily eat these two or three times a week which is saying a lot because I’m not really a pancake lovin’ kind of gal. 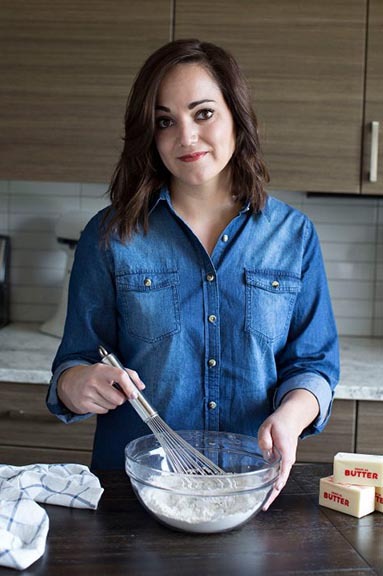 It’s the cornmeal added to the batter that won me over. Growing up we had a breakfast tradition of eating “mush” when my moms family came to visit. For those of you that aren’t familiar with the cornmeal based recipe it’s basically cornmeal mixed with water and fried in butter. It’s salty sweet perfection that all of us kids went crazy for and was simple for the adults to whip up in large batches. These pancakes remind me a lot of those gatherings and takes me straight down memory lane. You can eat them SO many different ways. Some of our favorite are smothered in maple syrup, topped with fresh blueberry syrup, or dusted with a little powdered sugar. My seven year old is a fan of the first while I tend to go for the blueberry addition. 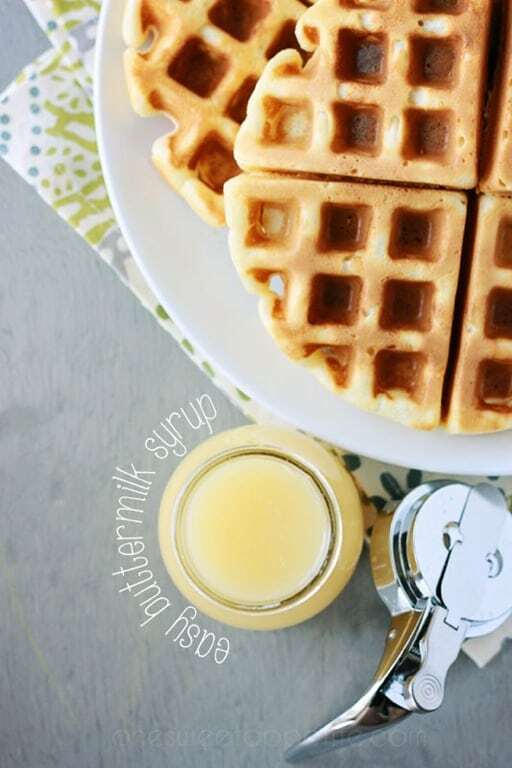 They are even freezer friendly which makes them ideal for quick grab-and-go breakfasts! I recommend using a cast iron skillet when deciding what to cook these little gems in. We love the flavor and use clarified butter since it has a higher burn temp and gives your beautifully golden little cakes. Combine the eggs, yogurt, milk, oil, and vanilla in a measuring cup. Whisk to combine and fold into the dry ingredients until just combined. Heat a skillet over low/medium heat. Grease with non-stick spray or butter and scoop 1/3 cup of the batter into your pan. Cook 2-3 minutes or until bubbles begin to form on the surface and flip. Cook an additional 2-3 minutes or until browned. 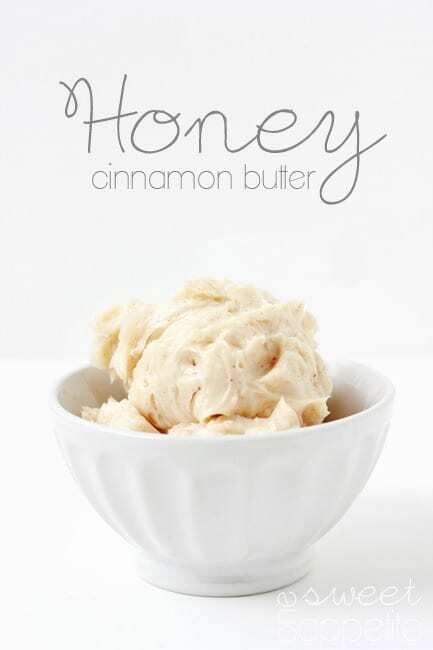 Serve with honey butter, syrup, or berries.